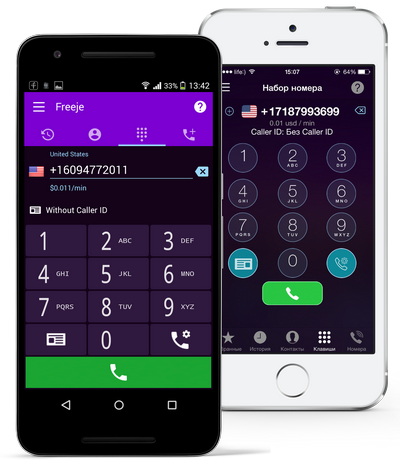 Freeje - the first application including SIP, Callback and Virtual Numbers (DID) Freeje is the application which consist of several useful services combined in one great application. 1. Local phone numbers available in 90 countries (more than 6000 cities) which can receive your calls or SMS right to your Android device . 3. Your own “pocket” mini-PBX for call processing.